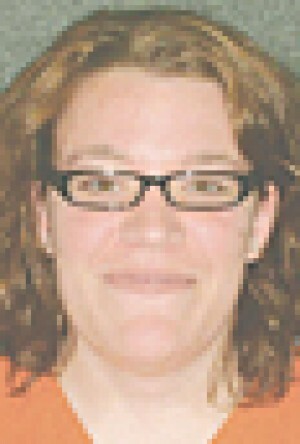 Jessalyn Stierwalt, 21, really really did not want to make her probation appointment. Stierwalt had been drinking and came up with a plan: to have two friends stab her in the stomach. That way the probation officer would not find out she had been drinking. The three women are now charged. Stierwalt was treated for stab wounds in her shoulder and abdomen. She is looking at five years now on a novel charge: conspiracy to commit assault (on herself). She said that she needed time to sober up. It appears that not drinking, drinking after the appointment, or missing the appointment (and facing the penalty) were not viewed as more viable options. The idea of a conspiracy to assault oneself is fascinating. Presumably every suicide would (if not separately made a crime) would be an assault on oneself. Does this mean that she can address herself as part of the victim statement before sentencing? • The case involved a shootout between my client and a rival gang, in which one of the rival gang’s bullets, intended for my client, hit and killed a bystander. • There is a line of cases under which my client, by participating in a public shooting duel, could have been convicted of aiding and abetting a reckless homicide of the bystander. – The adversary intended to kill my client. – The adversary killed a bystander instead. – The adversary’s intent to kill my client “followed the bullet” via the doctrine of transferred intent, and thus, the killing of the bystander was an intentional homicide. – My client, by participating in the public shootout, aided and abetted that intentional homicide. A jury convicted. I got the conviction reversed, arguing that my client was essentially convicted of aiding and abetting his own attempted murder, i.e., aiding and abetting an attempted suicide, since the original intent to kill was directed at my client. The Kansas Supreme Court reversed, I believe on the grounds that this was ridiculous on its face. The opinion was unpublished. I need to get a copy for my files. I argued essentially this exact issue in the Kansas Supreme Court and got the conviction reversed. My client was in a gunfight, and the other shooter missed my client and hit a bystander. My client was convicted of aiding and abetting the other shooter’s attempted murder. But that attempted murder was the attempted murder of my client, with the intent following the bullet to the actual victim. I need to get a copy of that case for my files. I was proud of that one. or, she attempted to commit seppuku in shame. Actually, I can see how apologizing to yourself for making a mistake could be cathartic. That said, isn’t this a case of the crime containing it’s own punishment? Sounds like a seventh-grade mind in a 21 year old body…. Say what? Conspiracy is the only charge that they could come up with…Why are the others charged when this was clearly a consensual act? From what I have read…it appears consensual….Now filing a false police report would come to ind…. HOW LONG WAS HER SENTENCE? Cracked me up on so many levels. Weren’t there enough things to rightfully charge her with other than conspiracy? Why is it that prosecutors and police are so willing to go out of their way to punish people excessively via stretching the Law? The woman, an alcoholic, did the kind of typically stupid things addicts do. Unfortunately, the Law also did the kind of typically stupid things done by those who would impose their self-righteousness upon individuals, without the simplest attempt at empathy or understanding.